Are your energy bills high? 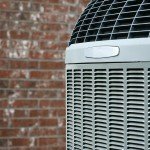 Is your air conditioner the problem? Are your unsure how to save energy with your air conditioner? You can lower the amount of energy your air conditioner uses and save money by improving the insulation in your home and adding a smart thermostat. Improving insulation in your home is one of the best ways to save energy when using air conditioning. Better insulation keeps more cool air inside. As a result less energy is used by your air conditioner to cool your home. Insulation in the outer walls of your home helps to reduce cooling cost and makes your home cooler during the summer. Wall insulation keeps cold air in on a hot summer day. With better insulation less cold air escapes. Improving the insulation in the walls of your home will result in energy savings and will lower your electric bill. Many people overlook their windows when it comes to insulation. Windows often cause a significant amount of heat loss, especially single pain ones. Clear plastic is one method of insulting your windows better. It is placed on the inside of your window and allows light to get in and you can still see outside. Ceiling insulation will also allow you to save energy when running your air conditioner. Research has shown that 40% of heat is lost in new homes through a ceiling that is not insulated properly. When it is hot out, ceilings that lack proper insulation provide poor protection from the sun. A poorly insulated attic allows more hot air to get in during the summer and will require you to run the air conditioner more often. Insulating both the ceiling and attic will make your home more comfortable and save energy when running your air conditioner. To save energy when using your air conditioning, you may want to improve the insulation in your basement, kitchen, or around the outside doors. While you may be reluctant to spend money on insulation it will save you money in the long run by reducing your electric bill. Programmable smart thermostats help people to increase air conditioning efficiency. A smart thermostat will help you to save on your monthly utility bills. Programmable smart thermostats can be used to provide the maximum energy efficiency in your home. The smart thermostat allows you to enter the hours that you are home and collects other information that is used to help you save energy. A smart thermostat can help you reduce energy use by 10 percent. It processes the information in the database and analyzes it to save energy. Smart thermostats allow you to control settings remotely. This will also allow you to compare how much energy similar homes are using. Better insulation and new technology are currently helping people to save energy while using their air conditioner and can help you too. If your electric bill is higher than you would like, consider using a smart thermostat. It will help you to lower your energy consumption. A smart thermostat will make sure that you don’t leave your air conditioning running when you are not at home.